This entry was posted on 21st January 2016 by The Salon Look Girl. January has traditionally been the month to get healthy. Cue panic gym memberships, juice diets, detox smoothies and sudden love for Acai berries. We’re all so fixated on our body’s health, that we put our skin’s health on the back burner. Sadly, with the cold weather and diet changes it couldn’t be a worse time to forget about your skin. So let me tell you how you can incorporate skin health into your new found healthy lifestyle and ensure you get the cleanest, brightest and smoothest skin ever. Step away from the soap. Soaps are alkaline and can change your skin’s natural acidic PH, resulting in irritation and dehydration. These days professional brand cleansers have been developed to prevent irritation to the delicate facial skin. Many contain plant extracts that naturally foam and thoroughly remove impurities and excess oils. Look for formulations that are PH balanced and gentle enough to remove eye-makeup. For the first step to healthy, refreshed skin, start with a soap-free product formulated to gently cleanse without disturbing the skins natural moisture balance. I recommend Thalgo Pure Velvet Cleansing Cream. Exfoliation is a process designed to help your skin shed its dulling outermost layer. I know that there are so many products out there that claim to do just that, and it can be daunting to think about the choices. The best exfoliators tend to be the milder ones, which microfoliate dulling debris and leave the skin noticeably smoother and brighter. These can be used daily to reveal a smooth, healthy and even complexion. My top pick is Dermalogica’s Daily Microfoliant. It features rice bran which provides enhanced antioxidant protection, inhibits melanin production, all while exfoliating dead cells. Winner. Wash, scrub, apply makeup, work, sleep. Sound familiar? No wonder our skin can feel a bit sensitive and dull. 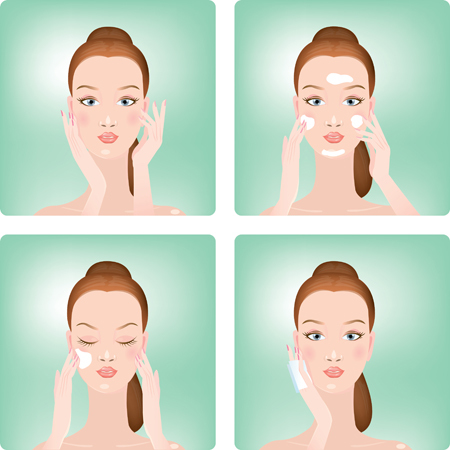 What we do throughout the day can lead to the loss of vital lipids in our epidermal barrier of our skin. Without a proper shield and replenishment, our skin’s barrier loses functionality, resulting in dehydration and wrinkles. You need to choose an appropriate moisturizer that combats surface dehydration and repairs damaged cells. For dryer skin types, use a richer formula that quenches dehydrated skin without adding excess oils to the skin. The multivitamins in richer formulas may be more suitable for nighttime, but can be used daily. Try Dermalogica Super Rich Repair. Oily skin types should opt for a lightweight moisturizer that can provide oil-free hydration while improving skin texture. Opt for one that does not dry up or leave a greasy after-feel. Try Thalgo Ultra Matte Moisturising Fluid. 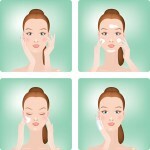 So there you have it…3 steps to healthier skin. If only the gym was that easy eh?